We’re about to bring the phrase ‘so cute I could eat it’ to a whole new dimension. For those who think their wardrobes are looking a bit flat – or simple want a guarantee that your man will drool over your outfit (shh, it still counts), we’ve surfed around for the internet’s finest foodie accessories your collection’s been craving. And look, if Doctor Who fans are allowed to walk around in TARDIS apparel, we should totally be able to flaunt our love for pastries. Just saying. Wait! Before getting lost down the rabbit hole that is Etsy (it’s inevitable, trust us), make sure you bookmark this sugary fashion statement. Going out in public has never been so sweet. Side note: we are not responsible for any associated cake cravings involved. As long as you’re not too freaked out by the thought of people staring hungrily at your ears all day, it’d be pretty tough to pass up this set of bling (adorable and delicious? Win). And no, we don’t suggest attempting to DIY it with the real deal. Crumbs. Crumbs everywhere. 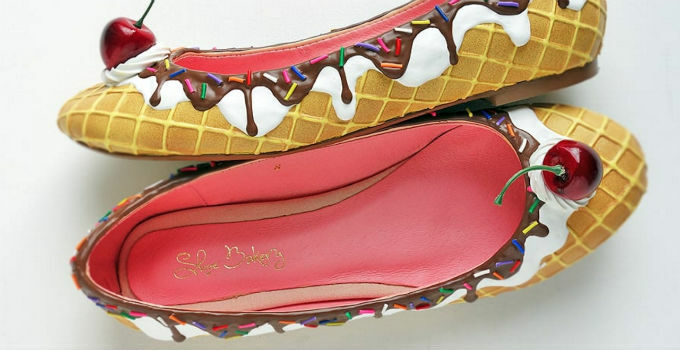 Donut listen to those naysayers who claim heels beat flats any day. (Do your stilettos have sprinkles on them, Fran? No, didn’t think so.) 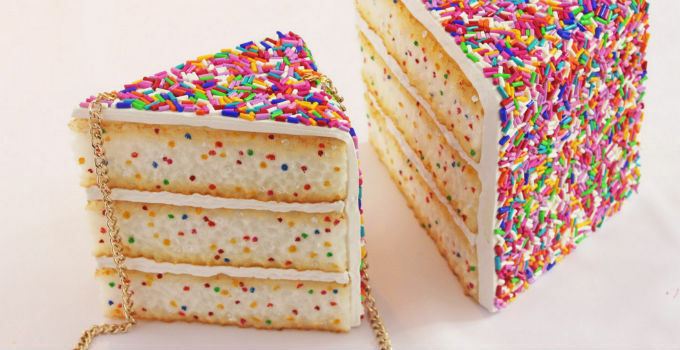 This addition to your outfit will totally be the icing on the … well, you know. We’ve officially found our new sole mate, and it’s pretty confidently that we can say this is one pair of socks that’ll never get lost (hint: ‘cause they’re on our feet). Bonus, it doesn’t stop at just one pair – they’ll keep coming every month if you let ’em (and we hear there are also fruity new designs coming…)!